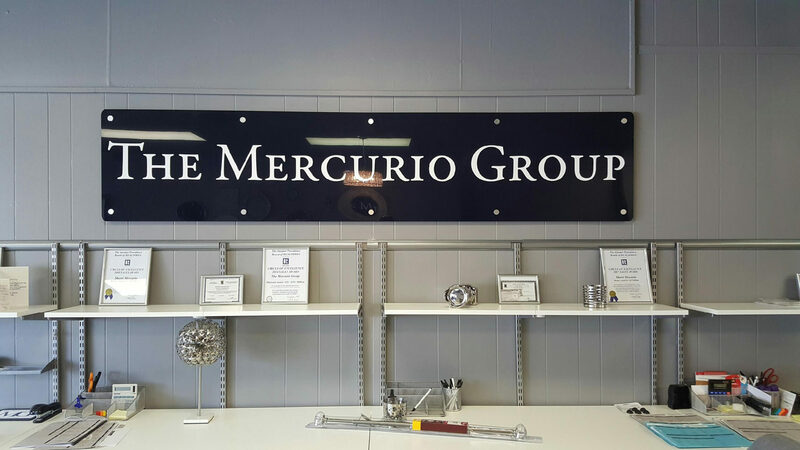 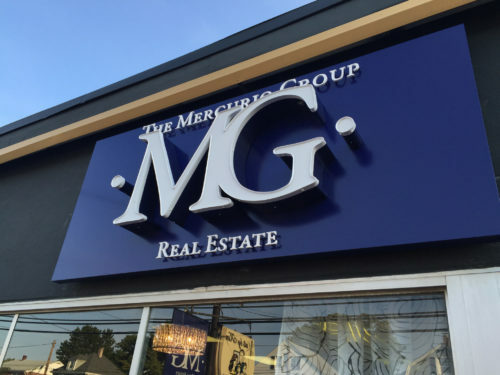 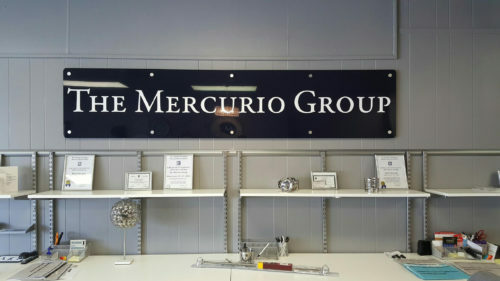 The Mercurio group went through a rebrand, and we are delighted to have been a part of the process. 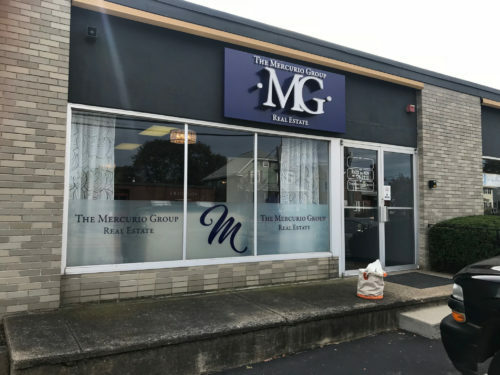 Sherri and her team were moving into a new office in Pawtucket, RI, and she gave us full artistic control over her re-brand and sign design. 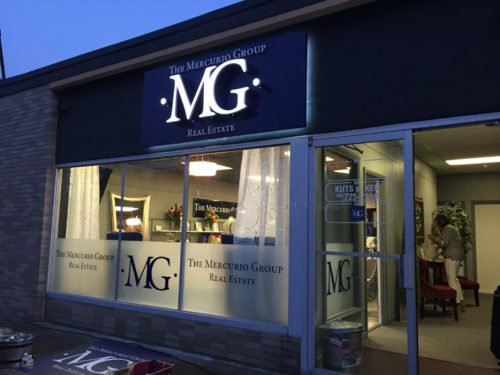 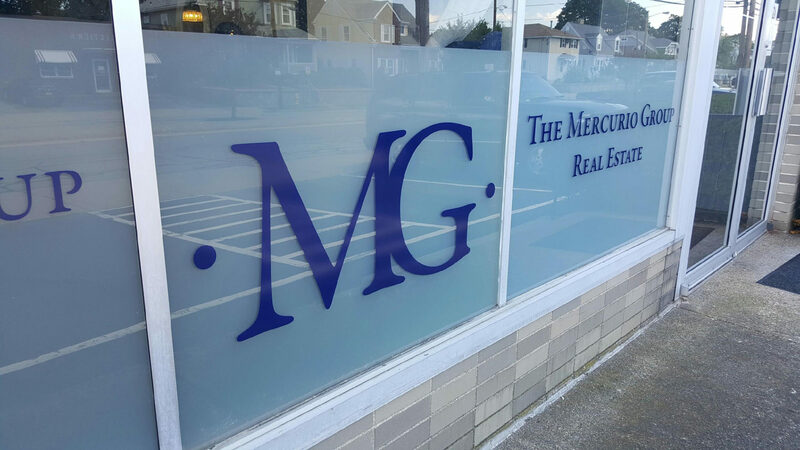 We were commissioned to design a new logo and signage for an upscale boutique style real estate office. 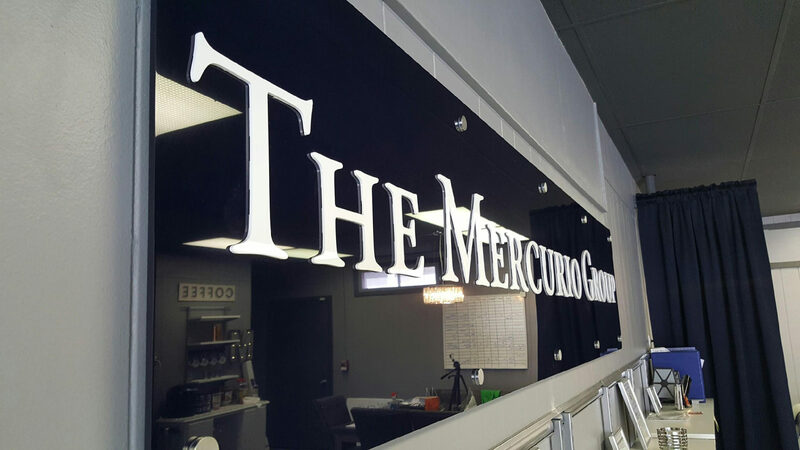 We designed, produced and installed window graphics, a custom halo backlit street sign with raised acrylic letters and front lit channel letters. 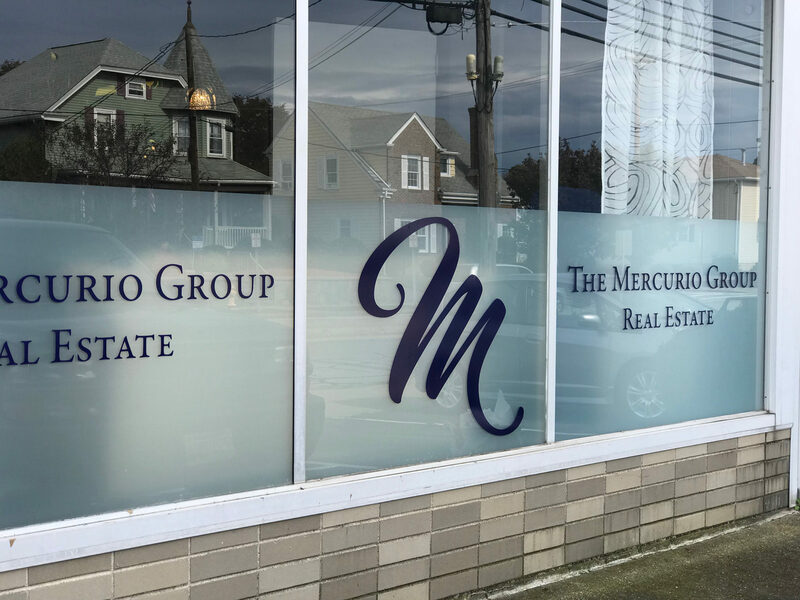 Inside her office, we also made and installed dimensional acrylic letters, made custom for sale signs with post and riders, and Designed new collateral materials such as business cards. 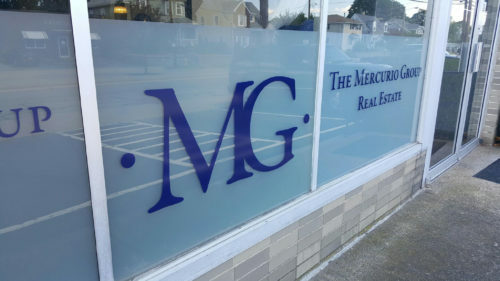 We also wrapped her company vehicle.